Say good-bye to winter's gray and hello to our Easy Spring pie. It’s a yummy way to celebrate the beginning of a more colorful season! Meanwhile, add 2 cups of the whipped topping to remaining gelatin; stir with wire whisk until well blended. Refrigerate 10 min. or until mixture is thick and will mound. 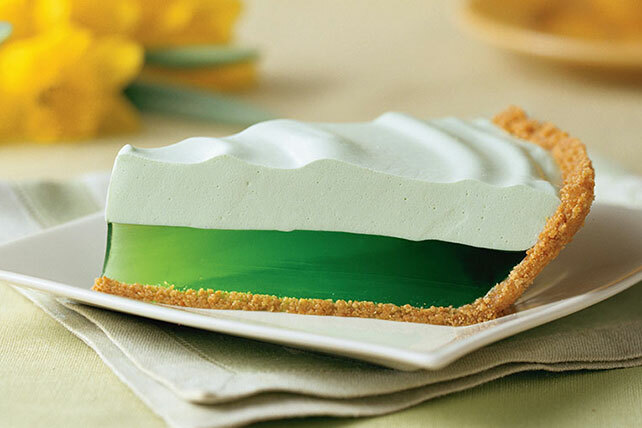 Carefully spoon over gelatin layer in crust. Refrigerate at least 3 hours or until firm. Serve topped with the remaining whipped topping. Store leftover dessert in refrigerator. Save 80 calories and 2 grams of fat per serving by preparing as directed using JELL-O Black Cherry Flavor Sugar Free Gelatin and COOL WHIP LITE Whipped Topping.